Innovative technologies streamline inventory operations and improve customer service. A new generation of innovative management tools is giving forward-looking retailers improved control over their supply chain, warehouse and store inventories while taking customer service to new heights. Technology is driving both disruption and opportunity, says Katie Kean, an IBM global consumer industry vice president and chief technology officer. “It is technology that has enabled nontraditional competitors, such as nimble born-in-the-cloud entrants, to take market share from established brands by being able to quickly pivot to meet the ever-changing needs of the consumer,” she says. But more and more, the real competition no longer involves brick-and-mortar stores versus online retailers. Instead, the competition is among retailers that can improve inventory operations to optimize multiple channels. Multichannel retailers are managing their operations to serve customers in ways that online-only merchants can’t match. One innovative approach, Kean notes, involves optimizing the supply chain and managing inventory to predict and manage demand at a local level. “This enables a retailer to meet the needs of the consumer even before they know they want it,” she says. “This requires technology to combine multiple types of data — from both inside and outside of the organization — to uncover new, actionable insights." Integrating online and in-store inventory management allows retailers to blur the line between the competing shopping models, enabling them to offer customers the best of both worlds. In whatever ways customers prefer to shop, the most effective retailers meet their needs. Top retailers can offer in-store pickup of online sales, or store-based sales associates can have items shipped to a customer’s home if they’re out of stock in a particular store. Mobile devices and apps are also tools that retailers use to compete against online merchants. Tablets, for example, give retailers the ability to improve customer loyalty and derive more meaningful insights based on what happens on the store floor, says Jeremy Witikko, Cisco Systems’ global retail business development manager. “Retailers can use wayfinding to pick online orders that are being fulfilled from the store floor faster with less labor,” he says. An app instantly compares the list of items needed to their locations in the store, giving the picker an optimized path to follow. Meanwhile, efficient management at the point of sale (POS) helps retailers better organize and optimize their entire inventory. As items are sold, they can be ordered and replaced as needed. “Many companies have a ‘sled,’ or adapter, for mobile devices that allows them to be transformed into a mobile point of sale (mPOS) device, allowing store associates to process sales in place, improving the customer experience,” says Michael Brewer, retail and hospitality product marketing manager for Aruba Networks. Asset tracking helps store managers understand just how many products of a particular type are currently on the sales floor at any given time, and also the average number of days on the floor for each item. “When this data is processed through an inventory analytics platform, retailers can get deep insights that help them make better, more profitable merchandising decisions, such as what ‘stale’ inventory should be transferred to another region where it might sell better,” Brewer explains. Parker estimates that most retailers have an inventory accuracy of about 60 percent. With the explosion of omnichannel commerce, retailers need to know in real time exactly what products they have available and how they will be delivered: at the point of sale, in-store pickup, to the customer’s site and so on. “To enable these use cases, retailers must increase their investment in processing, networking and storage,” he says. “Retailers need a robust, pervasive, secure network infrastructure that’s capable of supporting not just operational technologies, but also technologies that elevate the customer experience, such as location-based services, that can provide real-time, contextually relevant experiences,” Brewer says. Brewer also recommends investing in cloud and in-store edge processing technologies, as well as cloud application and storage services. “For real-time analytics and insights, edge computing — or the ability to perform data processing at the edge of the network, near the source of the data — is a must,” he says. Surveillance cameras focused on distribution centers, store inventory areas, sales floors and other theft-prone locations create a permanent, continuous security record. Many retailers also integrate cameras into foot traffic, analytics and other solutions to boost security, staff productivity and sales. RFID tags attached to merchandise at manufacturing, or upon its arrival at a distribution center, allow retailers to track products as they move from one stage of the supply chain to the next. Poor stock control typically leads to misplaced merchandise and revenue-robbing discrepancies. A strong and reliable inventory management system makes product tracking almost effortless while enabling retailers to pinpoint security weak spots. Downloadable mobile apps, such as SAP Mobile Inventory Manager, allow staff to conduct accurate physical inventory counts with a mobile phone or tablet, enabling on-the-spot discovery of missing items. 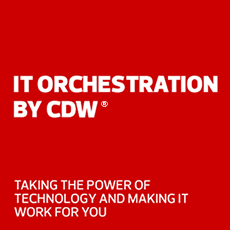 Learn more about how CDW’s solutions and services can help you optimize your retail operation. Connect back-end inventory management to customer-facing engagement to optimize the shopping experience. A recent CDW SummIT explored how organizations are transforming the customer experience and why. This webcast features highlights and lessons from the SummIT.